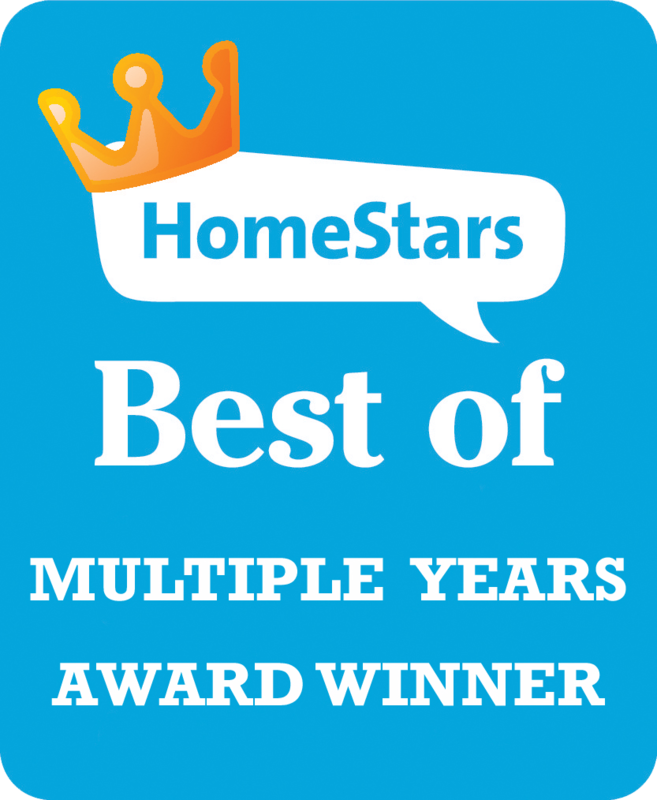 Restaurants, hotels, clubs, and other establishments looking to maximize profits from outdoor patios, as well as residential customers looking to cover larger outdoor areas, now have an eye-catching solution. 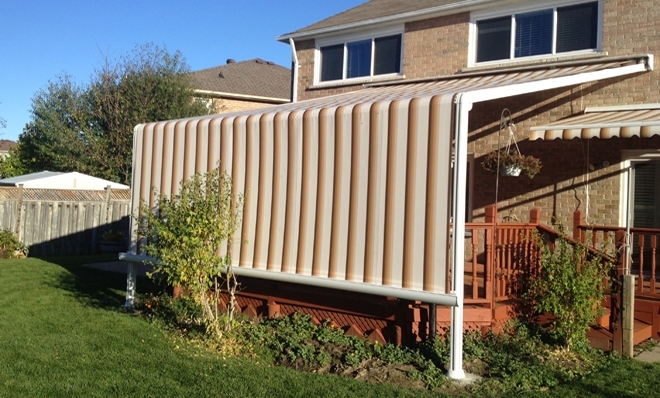 The Atrium™ is a unique refuge from sun and rain. 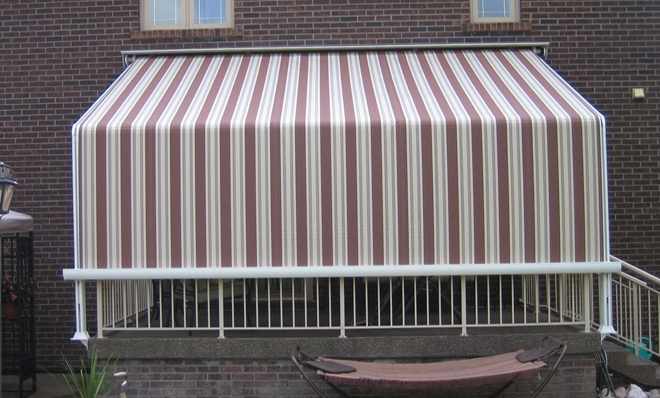 This heavy duty terrace style awning features a sturdy frame and retractable fabric top that travels along tracks guided by carriers. 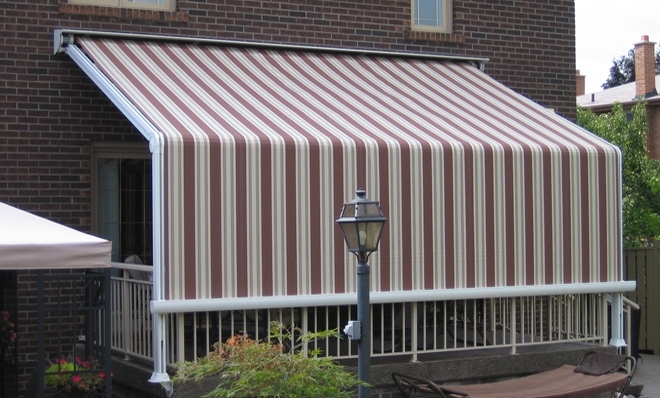 An extruded aluminum hood protects the fabric and motor from the weather elements. As a single unit, Atrium™ comes in sections of up to 20'wide and projecting up to 20' out from the wall. 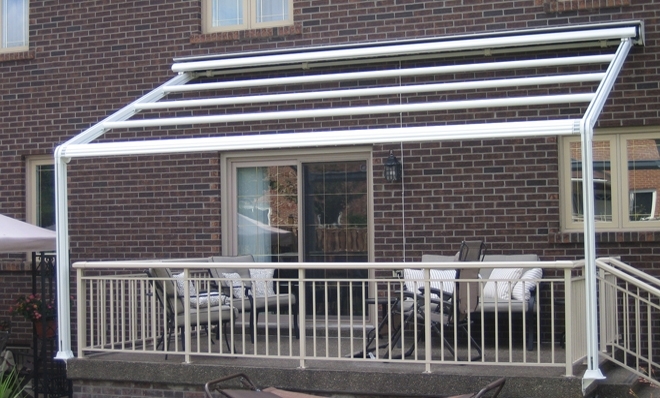 To achieve a larger width, multiple sections can be linked together using a specially designed rain gutter. Motorized with Somfy motors, the Atrium™ will award you with years of protection from the elements. 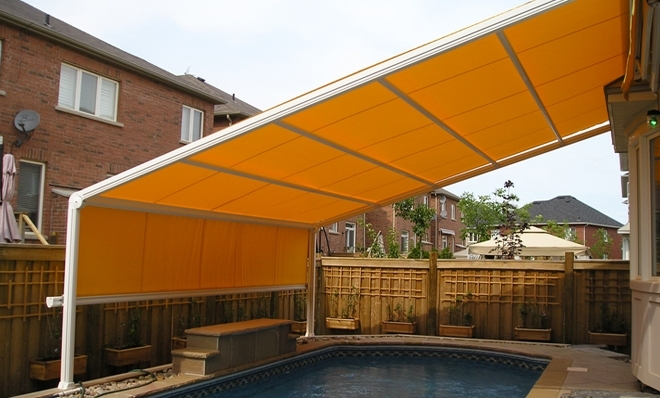 Rolltec®'s selection of 100% solution dyed acrylic fabrics will surely compliment this feat of engineering.